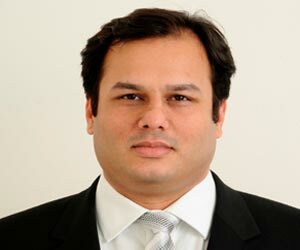 Ritesh Pai is a commerce graduate with masters in financial management, having 19 years of banking experience in project management, system solutions, design and implementation for cards (prepaid, debit & credit), consumer lending, direct banking channels - Internet, Mobile, IVR, ATM's , call center, home banking, payment solutions and banking training and service quality. Ritesh has transformed a set of subscale and substandard channels into one of the banking's largest digital real estate serving millions of customers. Having designed and delivered radically simplified digital platform, he remains passionate about creating and deepening customer value propositions that use business, technology and design. His role in YES BANK is to create an enterprise wide digital banking strategy which will cut across all business verticals and to build synergies pan bank so as to enhance the one bank approach and help create the bank of the future.